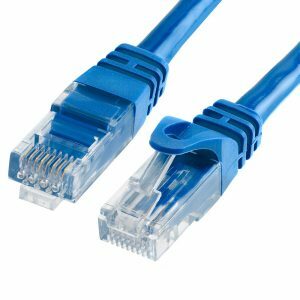 If you ever going to buy an ethernet cable for any reason, you may have noticed that there are several different types of ethernet cables to choose from, some of them may say Cat5, Cat5e, Cat6, Cat6a and Cat7. But what do all of these mean and does it really make a difference which one you get? Well, that is what I am going to talk about today in this article, so you can know what is worth buying and potentially saves some money and also I am going to go over the basic differences between Cat5 vs Cat5e vs Cat6 vs Cat7 cable. 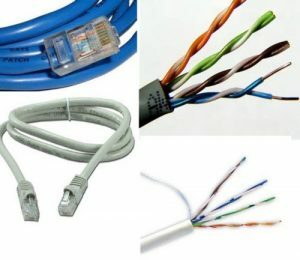 Below are the various differences in terms of performance specification of all the Ethernet cables available in the market – Cat5, Cat5e, Cat6 and Cat7. A true Cat5 cable is actually obsolete. You probably cannot even buy them anymore. A Cat5 cable is only rated for up to 100 Mbps at 100m maximum length and they have 100 MHz bandwidth. So, obviously only being rated for 100 Mbps, you are almost never gonna see these anymore because 1 gigabit is usually kind of minimum speed nowadays. If you are still using one, you should definitely replace it because, in addition to having a slower speed, it also might be less reliable as compared to the other advance categories of ethernet cables available in the market. Cat5e stands for ‘category 5 enhanced’. Cat5e is very common these days and it is rated for 1 Gigabit speed at 100m maximum length and this has again 100 Mhz bandwidth just like Cat5. A regular Cat5 cable only requires two twisted pair of wires inside while Cat5e uses four. Cat5e cable also cuts down in crosstalk because of the shielded pair of twisted wires inside the ethernet cable. After Cat5e, came Cat6 which bump the specification from 1 gigabit to 10 Gigabit at 55m length with a bandwidth of 250 MHz. The bandwidth here refers to the range of frequencies that the cable is able to reliably use. Cat6 further reduces crosstalk that is kind of main way to improve the speed and digital bandwidth. Cat6 also uses the plastic core through the middle of the cable to better separate the internal wires. I would say Cat6 is the best ethernet cable if you are not sure of what type of ethernet cable you are going to need since it probably won’t be that much expensive depending on where you buy it. If you are wiring a house for example where all your wirings are just in the walls forever, I would definitely recommend Cat6 in that case. Cat7 cable is also rated for 10-gigabit speed but with a higher bandwidth of 600 MHz. It also got the strict specifications for reducing crosstalk so it is requiring shielding between individual wire pairs in the cable as well as for the cable itself. This seems to be all about improving the reliability, not the speed. I think Cat7 might be best suited for extreme future wire installations where you just want extreme results whether in case of speed or reliability. CAT5 vs Cat5e vs CAT6 Cables – What’s the difference? Let’s discuss the capabilities of each cable and talk about the differences between these 3 cables so that by the end of this section you have a better understanding which cable might be better suited for your specific needs. First, let’s talk about category 5 network cable or cat 5. It is common to see this cable being used in conjunction with an RJ45 type connector, this is simply the interface connector that will be plugged into the network port on your computer or network hardware. Category 5 cable has a maximum speed throughput of 100 Mbps with a bandwidth potential of up to 100 MHz. It is important to know that Cat5 cables are largely obsolete. This cable has been replaced with newer cables having more capabilities. However, it is still very common to see Cat5 cable is used in many networks. Now let’s talk about Cat5e networking cables, much like the Cat5 cable, Cat5e cable uses the same RJ45 connection type because of this they can look identical to Cat5 cables. So make sure you know which cable you are using in your specific network. 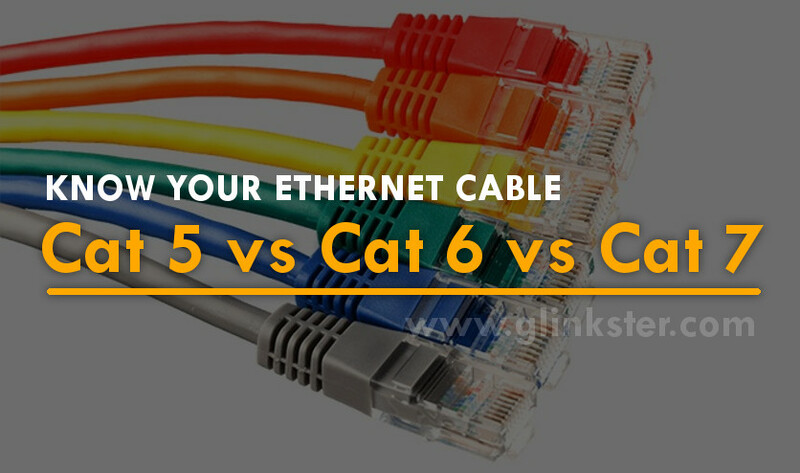 Cat5e network cables main difference from the Cat5 cable is the increasing speed capacity. It can handle a throughput up to 1000 Mbps. Cat5e will also reduce the crosstalk between the different pairs of wires within the cable, therefore, offering better performance. Cat5e is the most commonly sold network today in the market. Finally, let’s move on to the Category 6 cables or Cat6. Cat6 cabling also commonly uses the RJ45 type connector and therefore looks very similar to the other cables we have already seen. So again pay attention to the types of cables you are using in your network. Cat6 network cables have some improvements above both Cat5e and Cat5 cables. First, they have fast throughput speed much like the Cat5e cable at up to 1000Mbps. 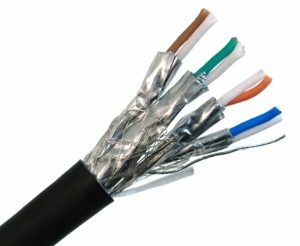 However cat6 cables also offer a maximum bandwidth of up to 250MHz. Category 6 cables also have an interior separator that in the cable isolates the different pairs of wires, this again reduces the crosstalk. Cat6 is more commonly intended for a commercial and industrial network application, but now they are finding their use in residential purpose more and more. Because of the increase functionalities, Cat6 comes at a higher cost. Cat5, Cat5e, Cat6, cat6A, Cat7 – Which one should you install? Okay, first the very short answer – Cat5e. If you are transferring a lot of data over your network, then upgrading to the Cat5e might help and moreover the upgrading cost is way cheaper than you expect. But in case you are just limited to home use, then don’t be much stressed out about the ethernet cable you are using. Let me be very clear here that your internet speed is altogether different than your network speed. 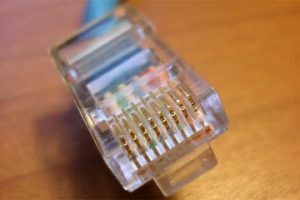 Upgrading the ethernet cables don’t load your browsing websites faster, but yes it definitely increases the speed of transferring data over the gigabit-compatible hardware. To attain the gigabit speed on your network, you will need more than just ethernet cables, you will need gigabit- supporting router and gigabit-capable network cards installed on your computers. Most of the computers of today’s world are already compatible with these high-speed cables, but surely you can crosscheck your PC by simply doing the research over the google by putting its model number. First thing first, if you are satisfied with the current speed of your network, then upgrading everything doesn’t seem to be the right choice. But if you have already upgraded to the gigabit-capable hardware, then upgrading process doesn’t consume a lot of money – it’s cheap. If you are looking to achieve the best possible speed of your network, then change your entire Cat5 cable wiring with the Cat5e or Cat6, though you can achieve the 1-gigabit speed from your current Cat5 cables, but it would be requiring a lot of speed tests and trust me all of them are very horrible and tedious in doing.